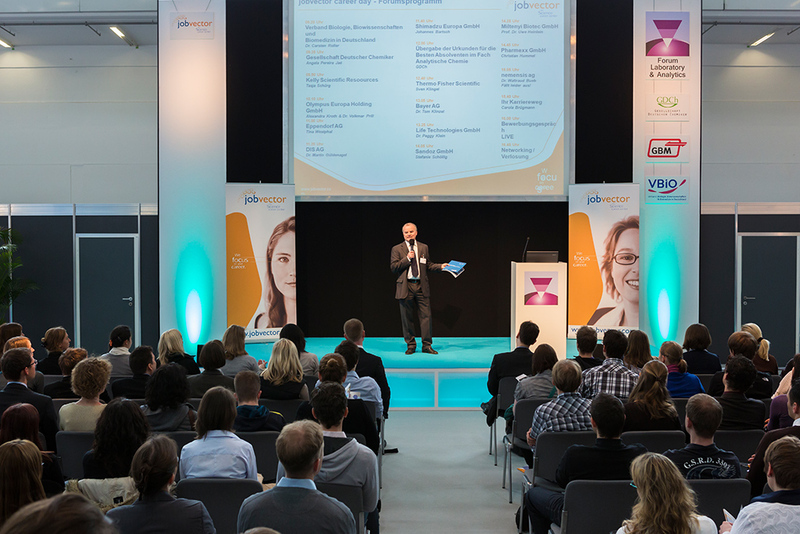 analytica (at the Messe München trade-fair center from May 10–13) is more than just the most important platform for scientific experts and well-known equipment manufacturers in the laboratory technology, analysis and biotechnology sectors. It is also the first place that future industry professionals go for sound information and a worthwhile contact exchange for launching careers and future career development. Now analytica is giving three young scientists an opportunity to participate in a Science Slam to prove themselves before a live audience. The Science Slam—an on-stage scientific competition that originates in Germany—gives young scientists a chance to introduce their latest research projects before a live audience in entertaining 10-minute presentations. Aids such as a PowerPoint presentation, props or live experiments are allowed. The objective is to use scientific topics to get into audience members' heads and hearts: The audience also judges the presentations and uses a points system to decide who did the best job of presenting their topic and making it easy to understand. Dr. Jasmin Barman-Aksözen from Zurich will make a presentation titled „Let the sunshine in“ on the topic „Erythropoetic protoporphyria,“ a light disorder that she also suffers from. Stefan Spreng from TU Weihenstephan has a presentation titled „Antiwrinkle cream for beer,“ which will deal with ways to make beer last longer. Ilona Schneider from the University Clinic Münster will make a presentation titled „Inheriting experience. The bass in our cells.“ on epigenetics. The Science Slam is an initiative of Eppendorf and enjoys the support of the trade association SPECTARIS as well as Shimadzu and other analytica exhibitors. A presentation by Dr. Bruno Kolb from the Student Research Center in Überlingen will also show how smart and creative the next generation of industry professionals is. As a representative of a group of students, he will present their project titled „Using gas chromatography to detect antibiotic resistance,“ which won first prize in the „Jugend Forscht“ regional competition. The presentation will take place in the Biotech Forum on May 10, at 17:00. Friday, May 13, 2016 also revolves around upcoming professionals and career opportunities. jobvector career day gives visitors a chance to talk to several HR managers from leading companies and gather information about career prospects directly from the source. In addition, the jobvector Forum will allow companies to introduce themselves and inform audience members about career opportunities, areas of activity and individual career alternatives. Job-seekers can also have their application documents reviewed by professionals and learn from a job interview that is conducted live on stage. As in the past, the popular Student Day, which allows future professionals to gather information about careers in the natural sciences and the prerequisites for college and subsequent career fields, takes place at the same time as Job Day.